G-Biosciences & Genotech are Geno Technology, Inc. (USA) brand names. Our continued efforts to meet changing trends in the biotechnology industry and to satisfy our customers’ needs have resulted in G-Biosciences, a new brand name of Geno Technology, Inc. G-Biosciences reflects the wide range of proteomic and genomic products we offer. Geno Technology, Inc. products continue to be offered and cited under G-Biosciences, Genotech and Geno Technology, Inc. brands. 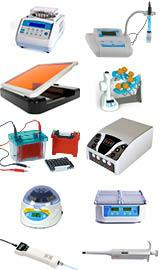 G-Biosciences offers numerous ways for purchasing your products for fast, and easy ordering. For bulk orders, please contact Customer Services for special quotations on price and delivery. An extensive selection of product information and technical documentation is available online, including SDS, protocols, application notes and technical bulletins. G-Biosciences products are offered through numerous distributors around the world. Visit www.GBiosciences.com for a complete list of our distributors and their contact information. For our most current prices, visit www.GBiosciences.com or contact customer service. Every effort is made to ensure the most current information on our website; however, we reserve the right to change the price without notice. We shall attempt to notify the purchaser of any such changes and obtain confirmation before shipment. All payment terms are net 30 days in US dollars. Late payments will be assessed a penalty and the cost associated with the recovery of payment. Shipping terms are F.O.B. St. Louis, MO, USA and added to the invoice. Credit card orders are accepted. All wire transfer payments require an additional fee. The products in our catalogs and website are for research use only. These products are not designed for diagnostic, medical, or therapeutic use, nor are they suitable for human consumption. Users are instructed to follow the instruction manuals supplied with the products. Instruction manuals and protocols posted on www.GBiosciences.com are only for general information and are not meant to be used or relied upon with any product supplied by G-Biosciences. Instruction manuals and protocols posted on G-Biosciences website are updated periodically. Products listed in our catalogs and website are warranted by G-Biosciences against defects in material and workmanship. G-Biosciences liability is expressly limited to the replacement of defective items. This warranty does not extend beyond one year of purchase or the shelf life marked on the product, nor beyond the description or instruction included with the product. G-Biosciences will not be liable for any personal injury, property, and consequential or incidental damage of any kind arising from the use or storage of the products. As part of our continued efforts to improve the quality of our products, some items supplied may differ from the catalog specification. We reserve the right to change the specification of our products without notification. Unless specified by the customer, we shall use the most economical and suitable method available to ship your order. If you require any special shipping and handling, please notify us when placing an order. Hazardous materials are charged a handling fee. You can return products that are damaged or defective on delivery, or correct any shortages or delivery errors; you must contact our Customer Service within 15 days of receiving the products. Customer Service we will give you return authorization and instructions on returning the products and on replacements. You must return any such products not later than 30 days after you have been provided return authorization. If you do not contact us within the initial 15-day period or return the product after return authorization, the products will be deemed accepted, but you will not lose any warranty rights. Not all items will be authorized for return, due to temperature and packing requirements. Items authorized for return must arrive at our facilities in a state satisfactory for resale to be eligible for product credit. Return requests for reasons other than specified above will be at the discretion of G-Biosciences; and a restocking fee not less than 20% of the product value will be assessed provided that returned product arrive at our facilities in a state satisfactory for resale. G-Biosciences does not warrant that the use of products in this catalog will not infringe the claims of any patents covering the products itself or the use of these products in combination with other products or in operation of any process. G-Biosciences and Genotech are trademarks of Geno Technology Inc. (USA); Zymolyase is a registered trademark of Kirin Brewery Company, Japan; Triton is a registered trademark of Union Carbide Corp; Tween is a registered trademark of Uniqema, a business unit of ICI Americas, Inc.; Nonidet is a registered trademark of Shell Chemicals; Brij is a registered trademark of ICI Americas, Inc. For most current disclaimer information see our website.